Winnie Abramson is a home-cook, food writer, photographer and recipe developer, with a doctorate in naturopathic medicine. Her work has been featured in the New York Times, among other publications. She lives in upstate New York. Visit her website here. We all know we have the power to make a difference in the world. But where do we begin? Holistic and natural health expert Winnie Abramson–author of the beloved blog Healthy Green Kitchen–proves it’s the small changes that matter most. 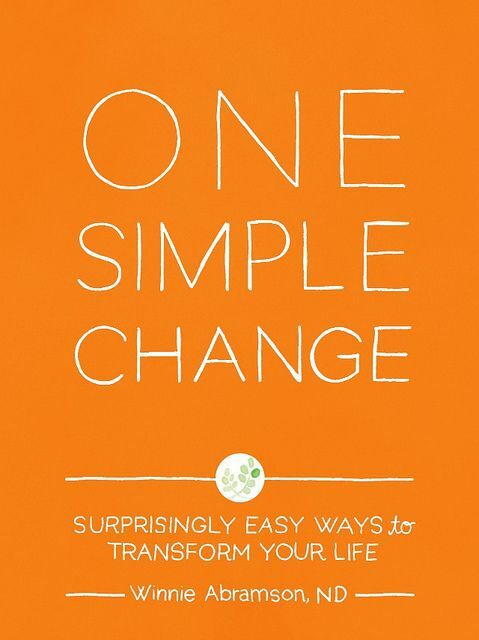 In One Simple Change, she presents fifty tips for better living, from rethinking our diets to reducing our carbon footprint to simplifying our lives. Her unique approach to wellness combines the timeless wisdom of our ancestors with the latest in modern science for an easy-action program that is immediately accessible and infinitely customizable. Apply one tip per week for a year-long practice. Read the book from start to finish or skip from one tip to another to create your own unique plan. This empowering guide will help you feel healthier, younger, and happier, one simple change at a time.